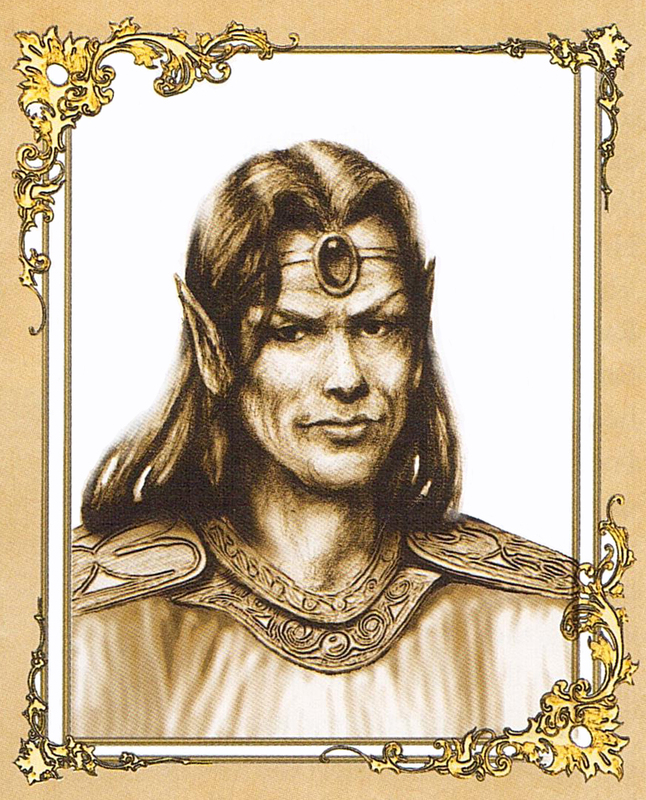 Eventine Elessedil was the king of the Elves. At the age of 82, he was still in excellent health. His body was hard and trim. He was still able to ride and was dangerous with a sword. His mind was sharp and alert and he could be decisive. As a young king, his charisma, strength of character, concern for his people, and his ability to act quickly and judge fairly showed him to be a king in more than just name. Took the throne after the death of his father. After the Warlock Lord began killing off Shannara descendants, Eventine worked with Allanon to help track down the remaining heirs. Following the deaths of the Waylandring family, Eventine met with Allanon in Arborlon. He suggested Allanon should seek out Eldra Derrivanian in case he had records that could assist with the search for Shannara heirs. He also explained why Eldra had been disgraced and had left Arborlon. Amberle had been Eventine’s favourite and being selected as a Chosen had given him deep pride and joy. Her betrayal, when leaving the Chosen, was harder to bear than the death of Aine. Paxon Leah read documents that recorded the life of Eventine. Waiting to congratulate the new Chosen, Eventine was shocked to see his granddaughter amongst them. He handed his staff to Arion and then congratulated the new Chosen and recounted the history of the Ellcrys.